Ann K. Kavanagh has been an Associate with Calone & Harrel Law Group, LLP, since February 2013. 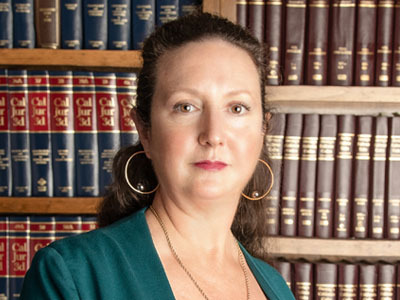 Ms. Kavanagh is certified as a Specialist in Estate Planning, Trust and Probate Law by the California State Bar Board of Legal Specialization, and has a substantial business background, as well as extensive legal experience and education. She has worked in the field of Probates, Estates, and Trusts since 2004. She is licensed to practice law in California and is a member of the Trust and Estates section of the California State Bar. Ms. Kavanagh holds Masters of Law (LL.M.) from Golden Gate University School of Law in both Federal Tax Law, and in Trust and Probate Law. She has also been a featured speaker at continuing education seminars on a variety of topics. With a practice concentrated in the areas of Estate Planning (including advanced Estate Tax, Gift Tax, and Generation Skipping Transfer Tax planning, and Business Organization and Succession planning); and Probate Matters (including Estate and Trust Administration and related Litigation and Tax Matters), Ms. Kavanagh is able to offer her clients a broad range of interrelated services.